Using the $75 version of Universal Business Listings Site (UBL) creates what they call a Webcard which is an easy way to see what information was submitted – and can even be used as your Web site if you don’t already have one. I have not found a page for all Webcards but you can use this page for all Texas Webcards to get to Webcards for any location. I challenge you to choose any cards at random and find others as complete targeting as many high traffic keywords as the ones I do. 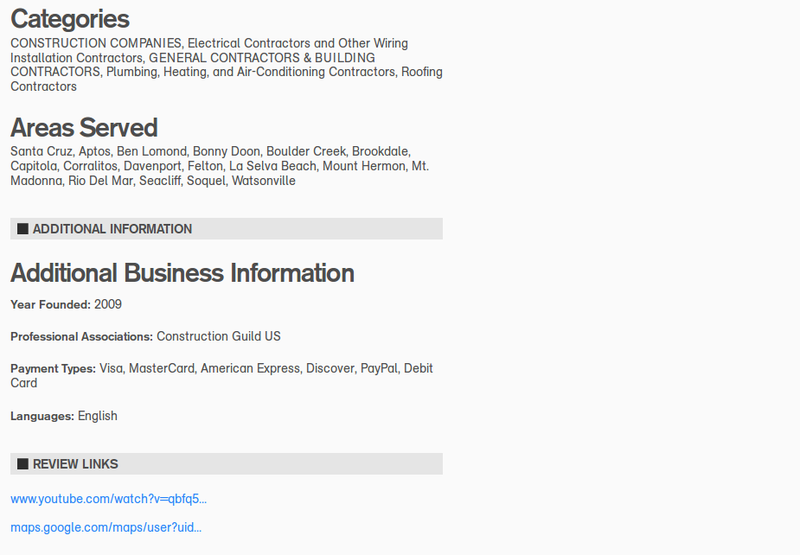 This is a screen capture of one of the business listings linked above – click the image to see full size. 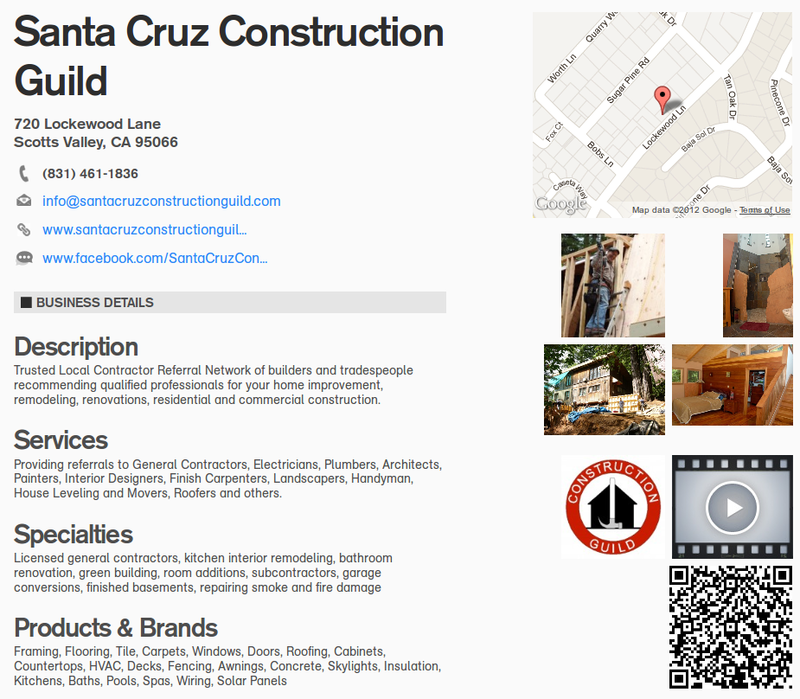 Notice the Google Map from Google Places in the top right, videos, images, and even a QR code. For tips on How to Compare Webcards (created from listings I submit) with ANY other Webcards created by the UBL system see UBL Sample Webcards.